THE old oak tree, originally uploaded by pojka2. This old oak tree in it full autumn colors is located at Rufford Hall in Nottinghamshire. It is an English Oak (also called Pedunculate Oak) which is the species Quercus robur. 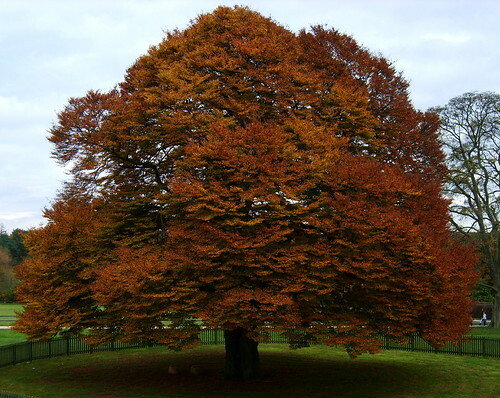 That's actually a beech tree (Fagus sylvatica). The dense branch structure and certain 'look' is actually quite typical of Fagus sylvatica 'Aspleniifolia'. The unbelievable stepping ground of Robin Hood, this 450 section of land nation park is presently part of the Sherwood Forest National Nature Reserve and home to a captivating Eco-framework. The woodland has 900 veteran oak trees including England's Tree of the Year 2014, The Major Oak.The tree that I captured for this post is situated in Spain where the name utilized is Carvallo.My name is Nagaraj now I'm working kochi taxi cabs I found this tree while on a trip searching for the "Holy Chestnut of Istan, a tree that is entirely renowned in the south of Spain. I found that the Giant Chestnut was not by any means the only noteworthy tree in the timberland over the town of Istan. Notwithstanding this tree I likewise found an entire stand of exceptionally old Cork Oaks Quercus suber.